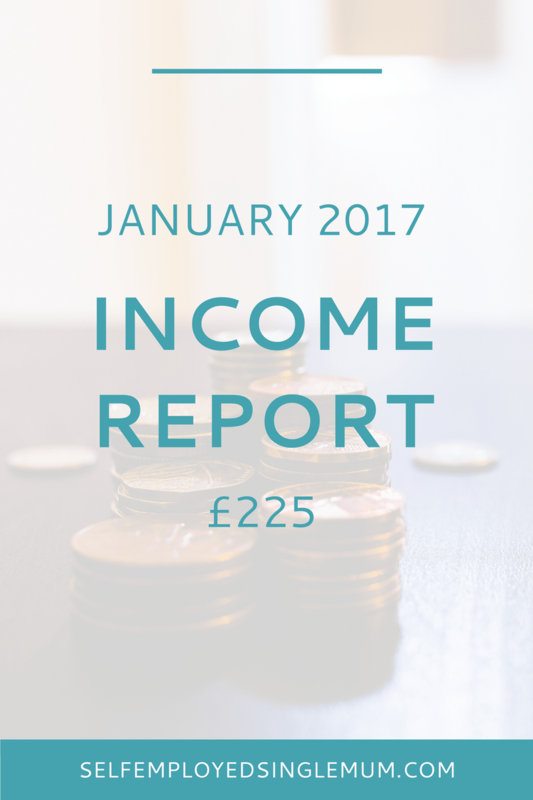 I’m back with my second income report and the first of 2017. I’ve decided to publish these because I want to be totally honest about the realities of self-employment as a single mother. I hope that by sharing my financial journey, and the lessons I’m learning as I go, you can learn from what works for me, and what doesn’t. This looks pretty dire doesn’t it? But if you remember from last month I got paid twice by my main client because of the Christmas holidays, so I held back part of that to make sure I still had money left to pay myself at the end of January. Again, I wasn’t focussed on bringing in any more work this month because I was preparing to move house (not fun!) and working on this blog. So my income was low, but it also reflects on of the upsides of being self-employed. I can seek out more work if I need to, or if I’m busy with other things I can ease off. You’ll see I also invested in Leonie Dawson’s Shining Life planners. At first I just bought the diary planner, but once I got my hands on it I wanted the whole system. So now I also have a life and business work book. Technically the life workbook isn’t a business expense, but I’m showing it here so you can see what tools I’m investing in. I wouldn’t be totally transparent if I didn’t also report that on top of this income I also get tax credits and child benefit from the government. They obviously don’t count as business income but they are still income that helps me get by. That next time I move I’m paying someone else to pack for me. No joke, it’s just not worth the headache. I economised and I regretted it. This is often true on a business level as well. Sometimes it’s well worth paying someone else to do something for you so you can focus on what really matters. Everything takes longer than you think it will. I planned to launch this blog on 18 January and at the time of writing it’s still not live. Clearly planning to do all this work while also planning a move was not the greatest idea I’ve ever had either! Hopefully my lovely new planners will help me avoid that kind of schedule clash in future. February is not ALL about launching this blog. I’ve got an opt-in to write, a marketing master plan to map out and social media content to get busy with. Oh and the fabulous Facebook group to nurture. Financially, I’ve got client work booked in two days per week for the whole of Feb, so I’m not worried about making enough money. However, said client has also informed me that they’re recruiting a permanent copywriter. They’ve asked me whether I’d be interested in the role, which is flattering, but it could mean that my freelance work with them is about to dry up. So, operation ‘find a new retainer client’ will kick off in March! What sort of thing are the Freelance to Freedom and Blog to Business? Are they monthly subscriptions and if so what do you get for them? Would you recommend them? Also – I agree ref the house moving. We moved in November and it wasn’t as stressful as the previous move, but it was still a bit of a pain and I really only took one day off work in order to move; the rest of the time I was struggling to fit bits and bobs of work in around packing and unpacking boxes! Hi Vicky – well, income reports are also a good way for me to stay accountable and on top of things! Freelance To Freedom is a monthly membership, and Blog to Business is a course I think you can either pay up front or do the monthly payment which I am. I recommend both highly. I’ve known Leah for a while now and what she teaches is always top notch. Here’s a link to her site http://freelancetofreedomproject.com/ – and Melyssa Griffin’s courses are packed full of great tips and information – I have a business/blogger crush on her ;). Here’s a link to her site http://www.melyssagriffin.com/.